Are you ditching your go-to LBD and heels, and bringing in your Sorel boots and ski jacket this New Years Eve? We think that is a good choice. 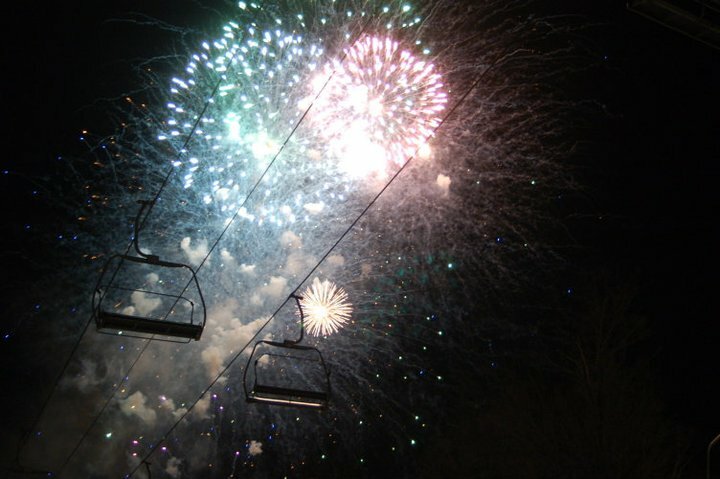 Forget the big city hype, and ring in 2012 by skiing and celebrating with those you love in the mountains. There may not be a lot of snow, but that doesn’t mean there won’t be good cheer. SKI Magazine has put together a list of the best events in mountain towns to celebrate New Years this weekend, and we wanted to share those with you to make sure you have the best New Years Eve. Rail jam, anyone? This FREE event Saturday evening features fireworks and background tunes spun by a DJ, all while you watch talented riders show off their skill. Stay warm and dance inside to the music of Sideways, a five-piece band from Jersey that covers anything from top 40, funk, and classic rock. A parade and fireworks…what more could anyone ask for on NYE? This is the place to be with Grizzly’s annual New Years Eve party, the First Night Dinner, and a FREE family party complete with crafts, music, and entertainers! Ring in the 2012 early with the family doing fun activities like ice skating, snowtubing, snowshoeing, mountain coaster rides, horse-drawn wagon rides, cookie decorating, bingo, and trivia. « Day After Christmas SALE! One Day Only!